This post is part of a series to augment the Free Ebook from Awakening available for free download. This and other character samples are gathered in my TotKW Samples Directory for you to explore. 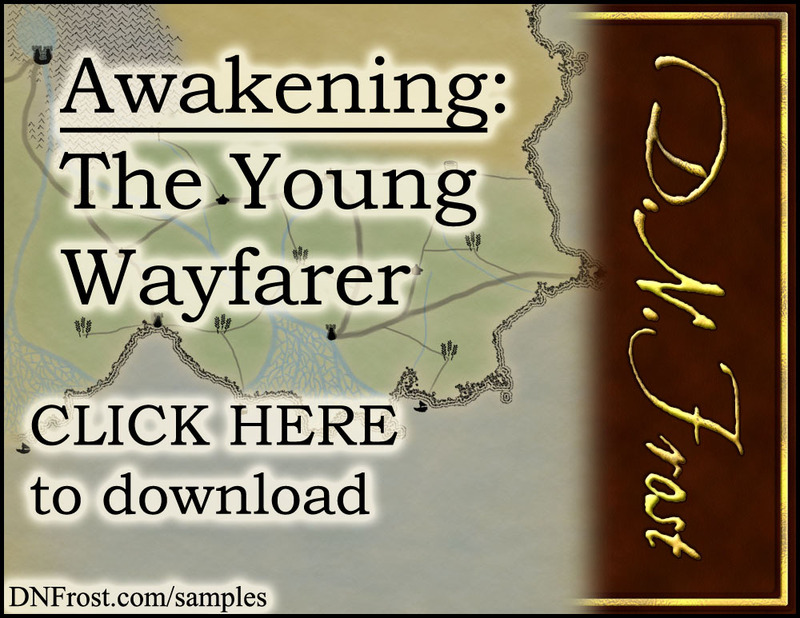 The Young Wayfarer: Tirrok's Story is a 7,500-word excerpt from Awakening, Book One of the Tales of the Known World saga. Download this free character sample here. The sand was inescapable. Through the long years Tirrok had spent in the Sutek, his every meal had crunched with grit, and the slightest breeze scoured at his cracked skin. But five days ago, the first sandstorm of winter tolled Tirrok’s twentieth haze with the Sutek people, and tonight’s feast would mark the end of his childhood. A new man of the tribe, he could leave his adoptive village and put the desert at his back for good. As the brilliant disk of first moon waded through the eastern sands, Tirrok ducked into the tent where he’d trespassed for two decades. Seated on the hard-packed sand within, the clan elder who’d consented to raise him waited, his stern bronze gaze more hawkish than usual in the fading light. “Grandfather,” intoned Tirrok with a slight bow of his head, staring at the fire and waiting to be dismissed. Instead, the old man gestured for his adopted ward to sit before him, and Tirrok dropped to the sand, anxious at the unusual behavior. Read more of Tirrok's story! Download the full character sample here. 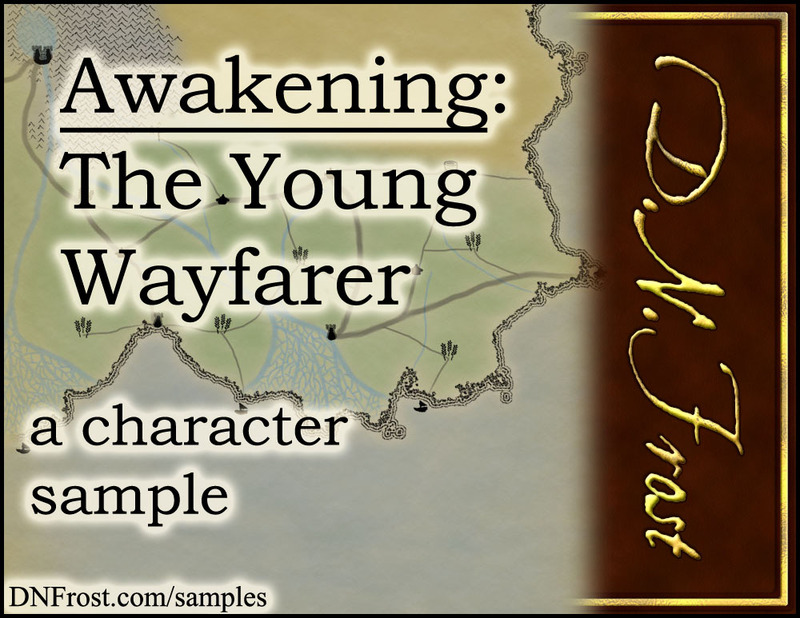 You can check out the latest character samples, or continue your adventure below.